Selectively bred for the hardened off users out there. Have Puff Puff Pass Out re-experience the times when you used to wake up with sticky, heavy red eyes, and your body feeling like a tonne of stone. Krippling Seed mongers have been gifted a super duper Matanuska Tundra strain, and the Alaskan Legend harmonises with Kali delightfully, to produce an all singing all dancing plant. Top-notch mixing has gone on here folks. A taste of this special combo is preparation to embark on a..
Outrageous bud structure, pasted with crystals and blue indica tastes that are almost genetically im.. 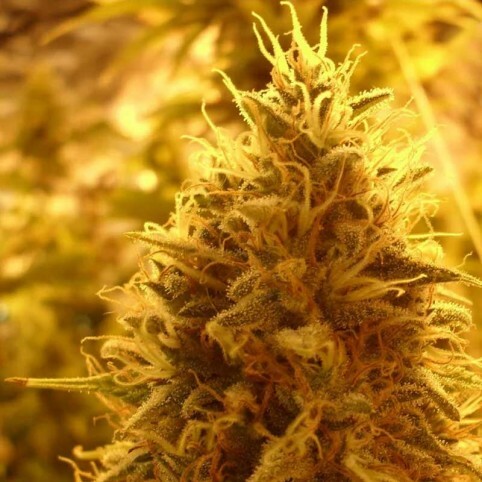 Bulk Smash Auto cannabis seeds have been created using our legendary Incredible Bulk Auto crossed wi..